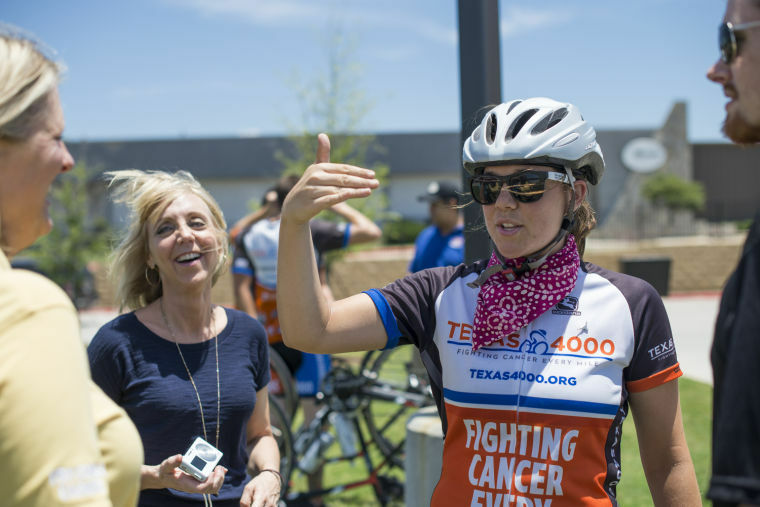 Members of Texas 4000, a group of University of Texas bicyclists that are making the ride from Austin to Alaska to raise money for cancer, made a stop at Raising Cane’s in Flower Mound on Wednesday. Among the riders is Courtney Schutze, a 2009 Flower Mound High School graduate. Amy Wong, a 2010 FMHS grad, made a stop at a different location in the Metroplex. Along their journey, the riders will stop at various cities to talk about cancer prevention and to raise money for cancer research.